The apparel industry has witnessed a steady growth during the past few years and has surpassed the $ $ 5 b milestone, achieving the national target, and the industry aspires to have a more ambitious target to achieve $ 8 b by 2025. The apparel sector being the largest export revenue earner, contributing around half of total export of the country has generated a substantial amount of employment over the past three decades. The sector which started as merely a contract manufacturing industry has now moved towards becoming a total solution provider. The spectacular growth and success of Sri Lanka’s apparel industry is a matter of pride of the country’s manufacturing sector. When Sri Lankan entrepreneurs took their first initiative to engage in this non-traditional sector in the late 1970s, they started with a handful of employees in a small scale. However, fueled by a combination of growth – friendly economic policies and trading conditions together with the drive and ambition of the industry pioneers, the industry flourished into a multi-million dollar export earner. As global trends continue to evolve, and in particular with the quota system under the MFA coming to an end in 2005, the Sri Lankan apparel industry faced fierce competition from countries that are able to manufacture at lower costs, greater scale and higher levels of productivity. The industry responded to these challenges by banding together to pool ideas and resources and working systematically towards strengthening the country’s apparel and textile industry with a clear vision of transforming the threats into new opportunities for Sri Lanka. Their continued efforts has made it possible for the apparel industry to achieve this milestone today. Applications of manufacturing practices in apparel sector is in par with other international industries. The sector has been the pioneers to introduce manufacturing excellence and innovation to other Sri Lankan industries. Some of the major sectors are following the footsteps of the apparel industry in introducing these innovative practices to their sectors to be sustainable in the long run. Today’s apparel and textile sector is facing some major changes. Demand patterns that are governed by the economic growth of regions indicates a slowdown in developed countries where as a steady growth is evident in China and India. The current global apparel market (excluding textiles) is approximately $ 1.6 trillion, which forms nearly 2.3% of the world GDP and growing at a rate of 5.7%. It is projected to reach about $ 2.6 trillion by 2022. This retail growth will be led by the emerging economies of India and China among others. Additionally, apparel consumption in top eight economies constitutes approximately 70% of the global consumption. Combined apparel consumption of the US and the EU is 40%while they are a home to just 11% of the world’s population, implying a very high level per capita expenditure on apparel compared to the rest of the world. The growing apparel markets of China and India are expected to surpass several developed markets, thereby representing a significant portion of the global apparel consumption. Both markets have shown robust growth in the past, despite global uncertainties and slack demand. 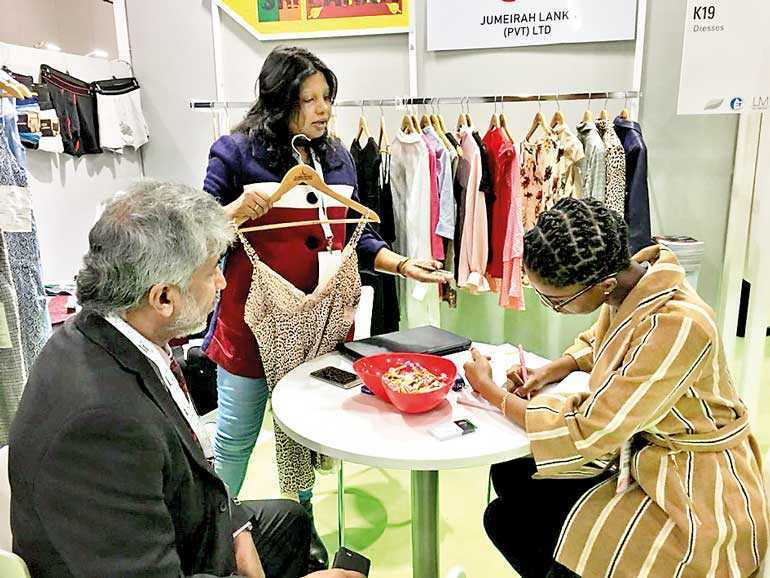 The Chinese and Indian economies are expected to maintain high growth rates in the next decade, India is increasingly a focal point for the fashion industry, reflecting a rapidly growing middle-class. These together with strong economic fundamentals and growing tech-savvy population make India too important for international brands to ignore. Currently Sri Lanka’s exports are heavily focused on the USA with 45% of exports, and the EU with 42% of exports. Only a mere 13% of Sri Lanka’s exports go to other countries. Although US and EU are vital markets, in the past and present, without which Sri Lanka’s apparel industry could not achieved its position today. The country simply cannot dwell on past success. Sri Lanka need to adapt to the market changes to continue growth of the industry. The EDB has worked closely with the industry throughout its long journey of three decades and facilitated the export community to become the leading export industry of the country. EDB will continue to support the industry to achieve greater heights. The new National Export Strategy will address concerns and needs of the apparel sector through trade support functions; logistics, trade information and promotion, national quality infrastructure and innovation and entrepreneurship. A number of product and market development programs are being carried out for the sector. To name a few; in order to avail the benefits from GSP, EDB organised promotional events in France Apparel Sourcing, Paris in the years 2017 and 2018. It will continue in 2019 too. 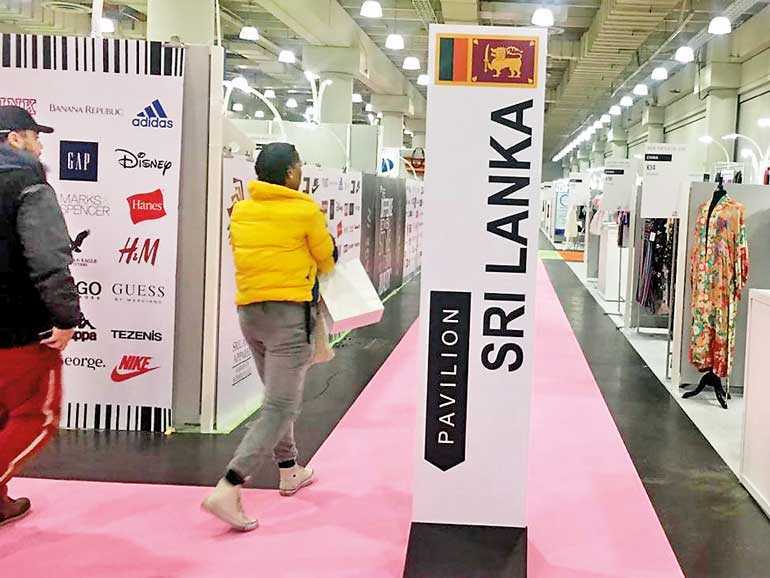 Given the opportunities created in the USA due to the ongoing trade issues between the USA and China, EDB together with the Sri Lanka Chamber of Garments Exporters, JAAF and the Sri Lanka Mission in USA organised the participation of eight companies at the Apparel Sourcing, USA held from 21-23 January. Business meetings were also be organised with the Greater New York Chamber of Commerce parallel to the participation by the Sri Lanka Embassy in USA. At present, China occupies 41% of the apparel market in USA and Sri Lanka’s share is 2.4%. It is envisaged that the Sri Lankan companies will be able to capitalise on the opportunities presented, to a great degree as the country is known worldwide for its manufacturing excellence with extensive operations in countries in South Asia and South East Asia. An image building program will be undertaken by the Sri Lanka Association of Apparel Exporters, JAAF and the EDB this year to uplift the image and dignity of the female workforce, working for the largest export industry of Sri Lanka and to improve the capacity and empower women through productive employment which will offer the driving seat to the females rather than being driven. Further, during the year, EDB proposes to organise an inward buyer delegations from identified countries in EU. All these initiatives are undertaken in close collaboration with the industry associations.